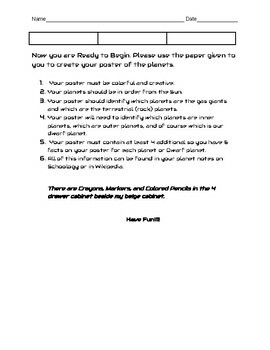 This item walks students through making a planet poster to make it more a meaningful and less daunting task. 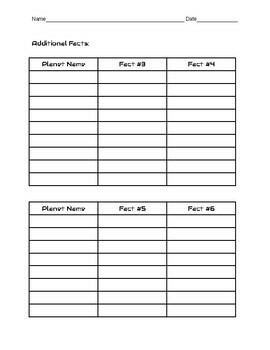 They use this sheet to do research on the planets and keep their data organized before beginning the development of the poster. This is meant for independent and individualized work but can be used as a group project for younger students. 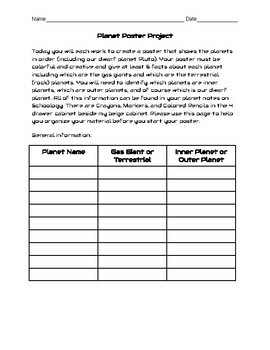 I use this with my 6th grade students who are already a little familiar with some aspects of the planets to take their learning deeper.